Home » awareness » I love someone rare! 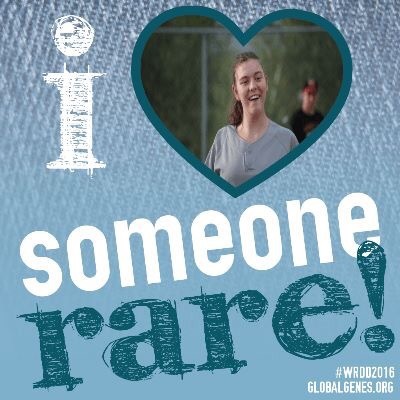 Today is rare genes day! My girl, my Emily which I can’t stop talking and writing about is 1 in 50,000 worlwide born annually with Cri du Chat Syndrome. Show the world that you love someone rare! This entry was posted in awareness, Education, Family, Inspiration, Life lesson, parenting and tagged 5p- society, awareness, cri du chat syndrome, rare genes day. Bookmark the permalink.